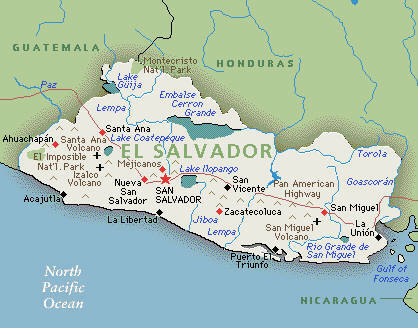 In less than 48 hours, I will be arriving in “República de El Salvador,” which literally means “The Republic of the Savior.” The country is also known as “La Tierra de Volcanes” or “The land of the volcanoes.” I am traveling with a small group of faculty and interpreters to help teach at a new Course of Study that Duke Divinity School has developed for Central American Methodist Pastors in the region. It is a bit daunting to think that I have been asked to teach Evangelism to pastors in a very different context from the North American one where I have served and pastored for years, but I am excited about hearing from these fellow co-laborers in God’s vineyard – their ministries, their hopes, and their unique challenges and opportunities in the places where they serve. I am not sure how much free time we will have over the week that we are there, but I am hopeful that we might get to visit one of the volcanoes in the area, and I am especially eager to visit the memorial site of the late Archbishop Óscar Romero, whom I have long admired for his courage, candor, pastoral sensitivity, and prophetic advocacy for the last, the least, and the lost. For those who do not know about Romero, the 1989 movie starring Raul Julia is a fairly accurate depiction of his rise to the office of Archbishop and his tragic assassination while presiding at Mass. Vaya con dios hermano…saludos pastor angel. Y pastoras marrta karen y ester y juan por mi…. si tienes tiempo necesitas comer un papusa loca y bebes una licaudo de sandia..paz de cristo. May God bless you and the other “co-laborers” for Christ during this trip. This sounds like an amazing opportunity and I am sure great things will happen. 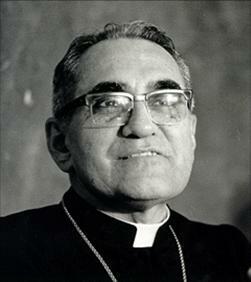 I have also admired Romero for many years and list as one of the great modern heroes of the faith. Thanks, Peter. We ought to touch base after I get back.